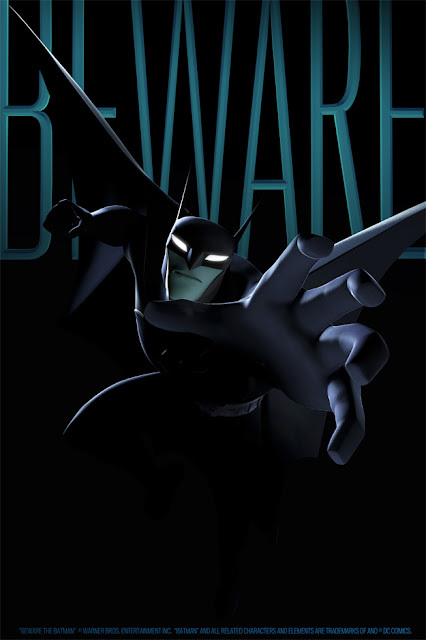 3-D Monster: Teaser Art For The New Batman Cartoon! A cool, new take on the classic Dark Knight franchise, Beware the Batman incorporates Batman’s core characters with a rogues gallery of new villains not previously seen in animated form. Along with backup from ex-secret agent Alfred and lethal swordstress Katana, the Dark Knight faces the twisted machinations of Gotham City’s criminal underworld led by the likes of Anarky, Professor Pyg, Mister Toad and Magpie. Produced by Warner Bros. Animation, this action-packed detective thriller deftly redefines what we have come to know as a “Batman show.” Featuring cutting-edge CGI visuals to match the intricate twists and turns of the narrative, Batman steps out of the shadows and into the spotlight for an entirely new generation of fans. With WBA’s Sam Register executive producing, and Batman Beyond’s Glen Murakami and Scooby-Doo! Mystery Incorporated’s Mitch Watson producing, Beware the Batman, based on characters from DC Comics, is coming soon to Cartoon Network! I don't think they'll ever top BTAS, but this looks like a step in the right direction.